Looking for open concept living? Well you've found it! 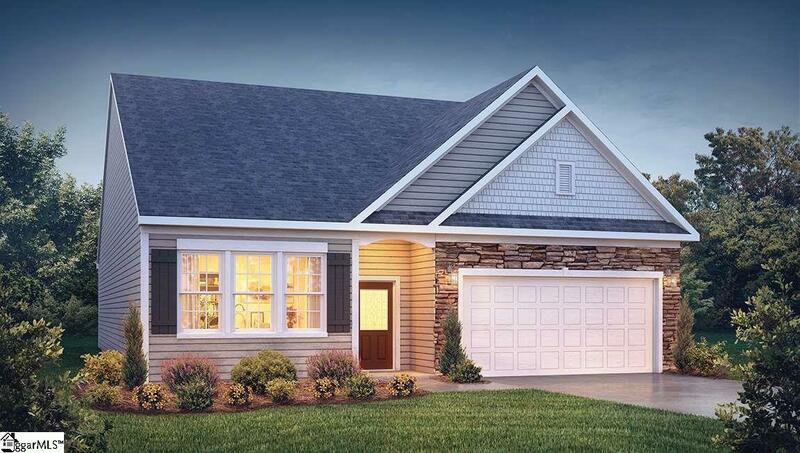 The Aberdeen is an open concept 3 bedroom 2 bath one-level home that features a large granite island (perfect for bar stools) and a separate cozy breakfast room. The grand room has a gas fireplace with a black slate mantel and a formal dining area with wainscoting throughout. The master suite has vaulted ceilings and a large private bath with double vanity, shower, separate garden tub and a walk in closet. This is a beautiful home at an incredible value with all the benefits of new construction and a 10 yr. Home Warranty. Listing provided courtesy of John Dutch of D.R. Horton.